I love this trial so much. It’s the gift that keeps on giving, about the grifter we all deserve. Former U.S. Congressman Steve Stockman spent $450,000 in charitable funds from an East Coast philanthropist on personal expenses including dolphin boat rides, tanning salons, a kennel bill, a new dishwasher and airline tickets to the African nation of Sudan, according to an FBI forensic accountant who testified Wednesday in Stockman’s fraud trial. In all, the ex-Republican lawmaker from Clear Lake is charged in a federal indictment with siphoning off $1.25 million in donations meant for charitable causes, between 2010 and 2014, through a series of bank transfers, to pay personal and campaign costs. Stockman’s defense lawyers counter that while Stockman may not have spent his funds wisely, he didn’t break the law. His defense team has grilled a series of prosecution witnesses from the IRS and FBI about why they didn’t investigate the major donors about the intent behind their major transactions. An FBI accountant followed the path Rothschild’s money took in Stockman’s possession, including credit card bills for trips, department store expenses and SkyMall purchases. See here, here, and here for earlier updates. The only thing better than the witness testimony has been the defense’s explanations of the testimony. Who among us hasn’t accidentally used a few thousand dollars intended for charity – really, more like “charity” in this case – for kennel bills and Skymall purchases? Could happen to anyone, really. And that was just Wednesday. Here’s Thursday. Thomas Dodd, a top aide to former U.S. Congressman Steve Stockman, spent six hours on the witness stand at his ex-boss’ fraud trial Thursday, explaining how he was instructed to land big donations from heavyweight contributors, help funnel that money into shell accounts and then assist in an elaborate coverup. He told the jury his role during Stockman’s political ascent was to help set up meetings with some of the country’s biggest GOP donors. During part of this time, Dodd himself was often deep in debt and lived for a time in a former motorcycle repair shop in Webster that served as Stockman’s campaign headquarters. Dodd testified about a series of donations, money transfers and trips spanning the globe that he made on Stockman’s behalf. There were two conservative megadonors who wrote the checks that prosecutors say financed the spending spree. The biggest was Richard Uihlein, a shipping supplies magnate from the Chicago area who gave $800,000, and Stanford Z. Rothschild Jr., a Baltimore money manager who died in 2017, who gave $450,000. Prosecutors say the donations went to charities controlled by Stockman, some of which did not qualify as nonprofits despite he promises to donors. 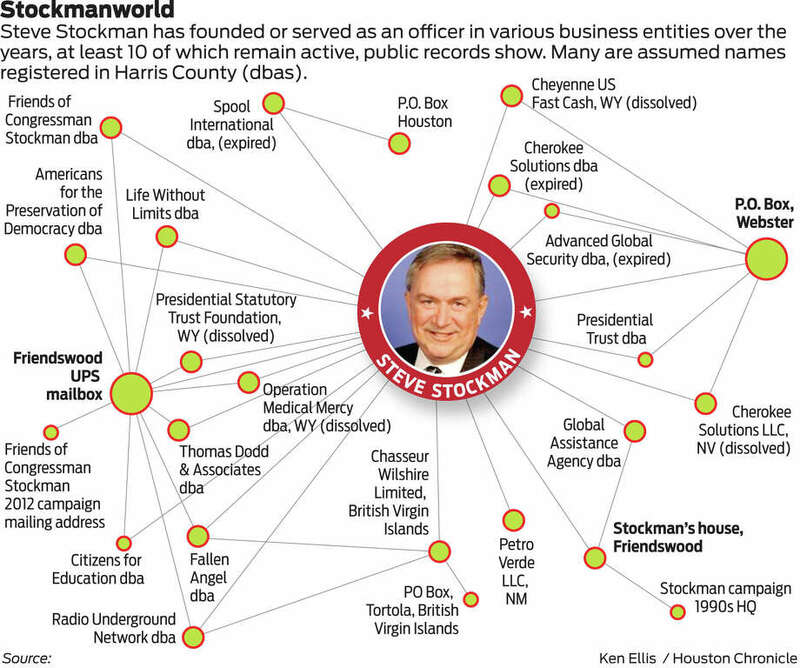 Dodd helped arrange meetings with donors, attended them with Stockman and followed up on collecting the funds. He testified that Stockman repeatedly assured Uihlein his donation would go toward establishing Freedom House, a house on Capitol Hill that would be converted as a residence and training center for young conservatives. Similarly, Dodd said, Stockman promised Rothschild at the meetings and in related correspondence his foundation’s money would be spent targeting conservative voters with tabloid-style mailings that would promote their shared conservative policy agenda. Within days of depositing Rothschild’s donation checks, Stockman began paying off old credit card bills, Dodd testified. After Uihlein’s $350,000 donation cleared the bank, Stockman asked Dodd and Posey, the other aide who pleaded guilty, to donate to his campaign account, according to Dodd’s testimony. Stockman said he couldn’t donate to himself as a sitting congressman, but he would give his aides money to write him checks, Dodd said. Dodd testified that he told Stockman he also couldn’t make a donation under federal election law, explaining to Stockman he had just learned in the House ethics training that staffers cannot donate to their member of congress. Dodd said Stockman told him not to worry. “Mr. Stockman explained that no one would find out, and if someone did find out about it, he would take the fall,” Dodd said. First of all, like I said, “charity”. Second, I don’t know that this qualifies as an “elaborate” coverup. The villains in the Scooby-Do cartoons had more intricate schemes. More likely to succeed, too. There’s a punchline to this story that I won’t spoil – go click over and read the Chron article to the end. You know that old adage about lawyers not asking questions they don’t already know the answers to? This is an example of why that’s a thing. There’s still another week of this trial to go. My cup runneth over. TPM has more.